The centre of the province Groningen was hit by the worst earthquake since 2015 this weekend, the Financieele Dagblad reports. The quake struck late in the afternoon on Saturday and had a magnitude of 2.6 on the Richter scale. Its epicentre was at Slochteren but the quake was felt over a wide area, the paper writes. Until now some 39 reports of damage have come been made to the Centrum Veilig Wonen (Centre for Safe Homes). 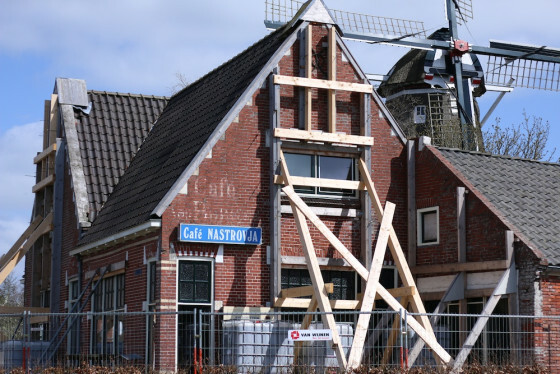 The independent centre was set up to handle damage to homes in Groningen which have been affected by earthquakes in the past few years as a result of gas extractions by gas company NAM. Gas extraction has been scaled down but many Groningers think production should be lower still, the FD writes. Slochteren mayor Geert-Jan Brink said on Twitter that ‘Groningers had ‘had enough’ and that production should be scaled down ‘and quickly!’ while GroenLinks MP Liesbeth van Tongeren tweeted she wants a debate with economic affairs minister Henk Kamp about the issue.